Thirty-four Latinas who gathered in New York City’s Union Square Park carried signs reading, “Hasta regreso!” [“Until the return”], as they led another protest for 73-year-old Oscar López Rivera, on April 24. This political prisoner has been incarcerated for 34 years. 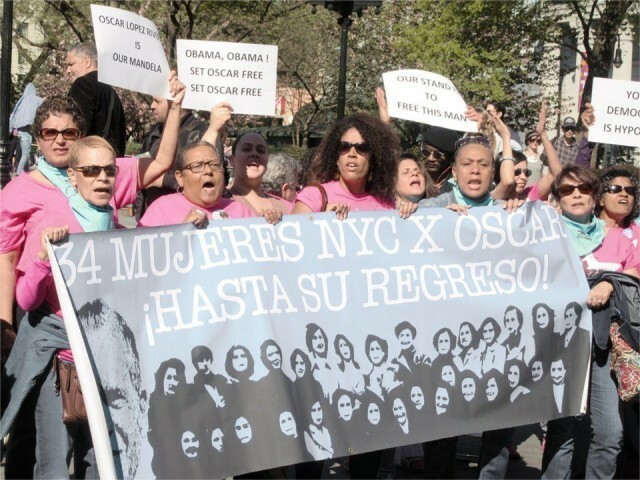 This is why 34 women organizers — “34 women x 34 minutos x 34 years for Oscar in NYC,” their sign said in Spanish — called for this action. Many supporters filled the park. The women led English and Spanish chants, including, “No justice, no peace!” “Set Oscar López free!” and “34! 34! Not another year more!” These and more bilingual demands were made for 34 minutes; each minute represented a year of time he has served. This spirited, strong rally got attention from passersby. Many stopped to sign letters and petitions calling for the political prisoner’s freedom. López Rivera was active with the Puerto Rican community in Chicago to resist racist violence and the brutality of colonialism and exploitation. The people fought for community control, and supported national liberation movements for independence and self-determination. During this era, several armed clandestine political organizations formed in Puerto Rico, including the Armed Forces of National Liberation (FALN). 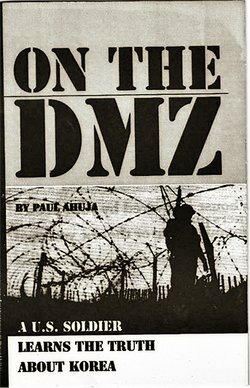 López Rivera worked with them. In 1980, 11 FALN members were charged with the overtly political crime of seditious conspiracy — conspiring to oppose U.S. authority over Puerto Rico by force. A year later, López Rivera was arrested and became a co-defendant. He also faced charges of weapons possession. But López Rivera was actually punished for fighting for his beliefs and for the freedom of his country. He was never accused of hurting anyone or participating in violent crime. Of his 34 years imprisonment, and his many years in isolation, López Rivera says: “The U.S. government categorically denies it has political prisoners in its gulags. … It uses the denial as its license to violate our most basic human rights by subjecting us to isolation and sensory deprivation regimens that are nothing less than cruel and unusual punishment. Supporters of López Rivera have included 10 Nobel Peace Prize winners, Coretta Scott King, Archbishop Desmond Tutu, former President Jimmy Carter, the United Methodist Church, the Catholic Archbishop of San Juan, New York state politicians, Puerto Rico’s Gov. Alejandro García Padilla, popstar Ricky Martin and international human rights coalitions.